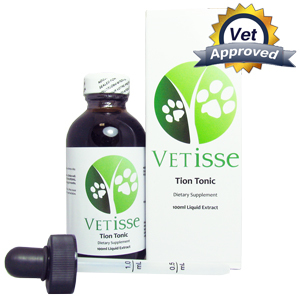 This immune support tonic provides detoxification as well as reducing oxidative stress in dogs. It supports long term health by boosting the immune system and reducing the effects of free radicals in dogs. This product contains Turkey Rhubarb root, which is toxic to cancer cells and regenerative to new cells for your pet. Slippery elm bark which is another ingredient in this product has the ability to detoxify and absorb any toxins in your pet’s body. This blend also contains sheep’s sorrel leaf. This is a powerful antioxidant that helps neutralize and destroy cancer causing free radicals. Sheep’s sorrel leaf is also suspected to break down cancerous tumors. Burdock root has been used since ancient times to remove toxins in the blood. Burdock root has also been combined with other herbs to relieve arthritic pain, rheumatism, acne, gout, ulcers, and eczema. In modern times, research has indicated that Burdock root may have cancer fighting properties. A chemical component of Burdock root, Arctigenin has slowed cancer growth. Moreover, additional evidence has indicated that Burdock root may be able to fight certain cancerous tumors. Burdock root mainly consists of flavonoids, alkaloids, tannins, glycosides, and polyacetylenes. Today, the use of Burdock root is a regular component of most cancer treatments in Russia and India. 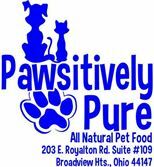 The recommended dosage for your pet is ½ a tsp three times a day. Speak to your doctor if you feel that this product is affecting your dog due to constant constipation. Also avoid this remedy if your pet is pregnant or lactating. This tonic remedy may cause constipation in your pet therefore be sure to provide your pet only with the recommended dosage.